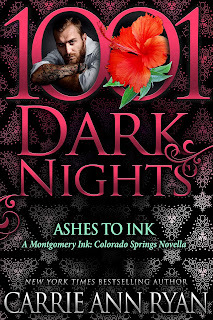 Ashes to Ink is a novella in bestselling author Carrie Ann Ryan's Montgomery Ink: Colorado Springs series. First, a confession: I have yet to read any of the full-length books in the original Montgomery Ink series and this spin-off. I know I'm missing out because I've heard a lot of good things about both series, and hopefully, I'll finally have the time to read all of the books (and there are A LOT of them in the first series!) before the new spin-off launches in the second half of the year. I've got my fingers crossed since I really enjoyed reading this new novella, and it's given me enough of a peek at the other characters that make up the series that my curiosity has been seriously piqued. 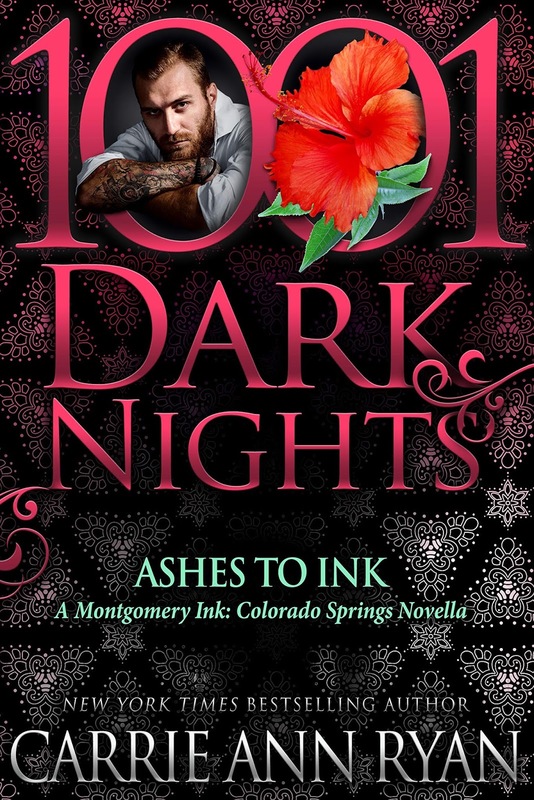 This book is about single mother Abby and tattoo artist Ryan. She owns Teas'd and enjoys sharing her love for tea with her customers; he's the newest tattooist in Montgomery Ink Too and is already in-demand. Abby lost the love of her life just as they were making plans for the future as a couple and a family and moving to Colorado Springs was her shot at making a go of a new life while still in mourning. On the other hand, Ryan doesn't share a great deal about his past, especially when it comes to his family, but he appreciates the new chance to start over in Colorado Springs. When Abby and Ryan decide to act on their mutual attraction, both hope that it's the beginning of a wonderful future for them. However, someone from Ryan's past is about to come a-calling and chaos ensues. Purchase Ashes to Ink on Amazon.